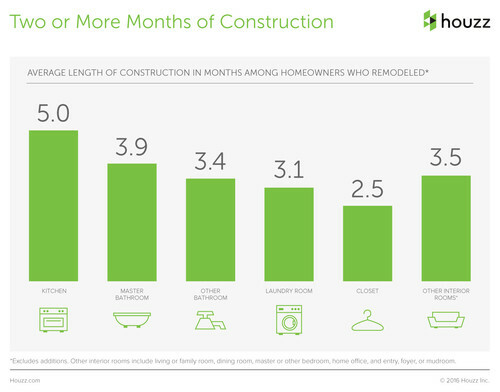 Every year Houzz, a website and platform dedicated to home remodeling and design, gathers survey information on actual renovations. 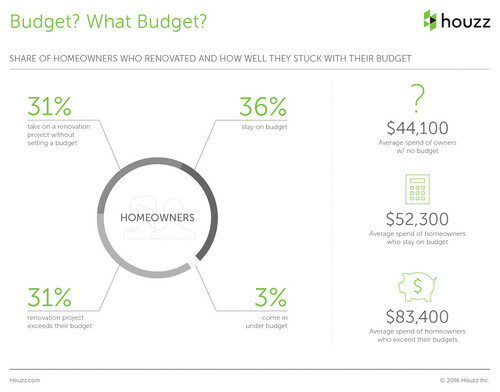 The 2016 Houzz & Home annual survey gathered information from more than 120,000 registered, including more than 70,000 who renovated in 2015 to provide insight for future renovation projects and to help determine how much and how long will a remodel cost. Everyone has expensive taste; expensive finishes and appliances coupled with the actual cost of renovating can surprise first-timers. 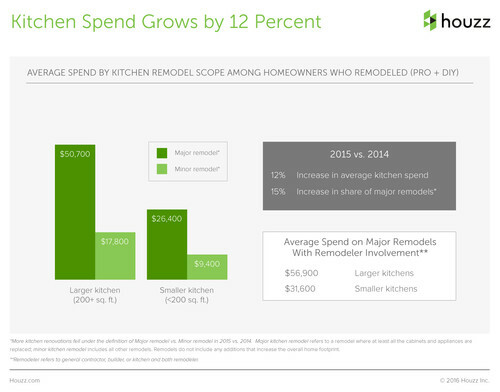 You may have already suspected that kitchens and baths are the “big ticket” areas of a renovation. Not only are they the first to require and update, they are often the areas with the most appliances and plumbing fixtures. This comes with a silver lining, it is often the case that a well designed and usable kitchen and bath have the best resale return on investment. 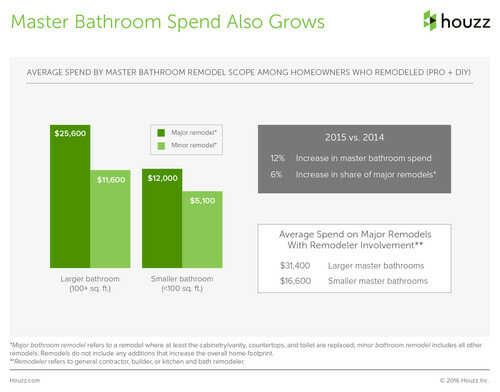 In some cases the ROI can exceed the actual cost of renovating. 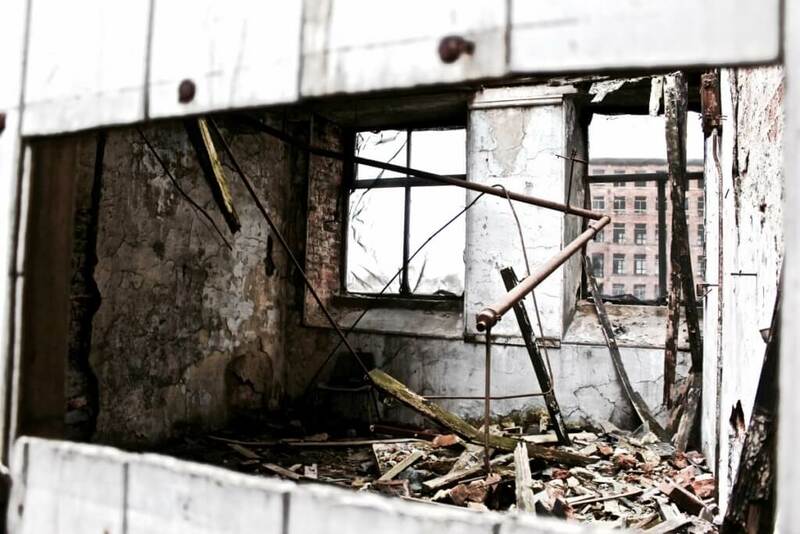 There is no “typical” timeframe when it comes to estimating your own renovation, as it the approval process varies for each building management company and each contractors schedule as well as each owner’s ability to make design decisions. We do know that most renovations will take two or more months not including the approval process. 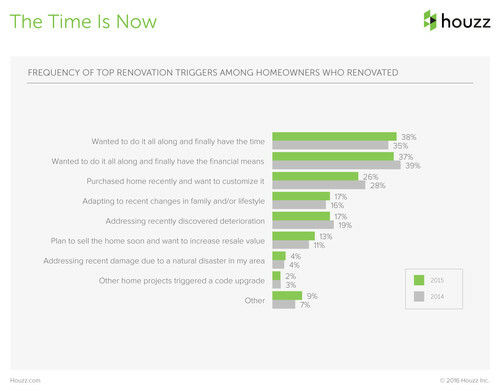 While reviewing the Houzz & Home annual survey, we noticed that there was a slight increase in homeowners willingness to renovate because they “had the time” as opposed to “having the financial means.” We know that time and money are two of the most important deciding factors, but if you feel that you are ready to consider a renovation, please contact us at Strata Architecture & Design for assistance.